What is PWA and how PWA is useful for Business? 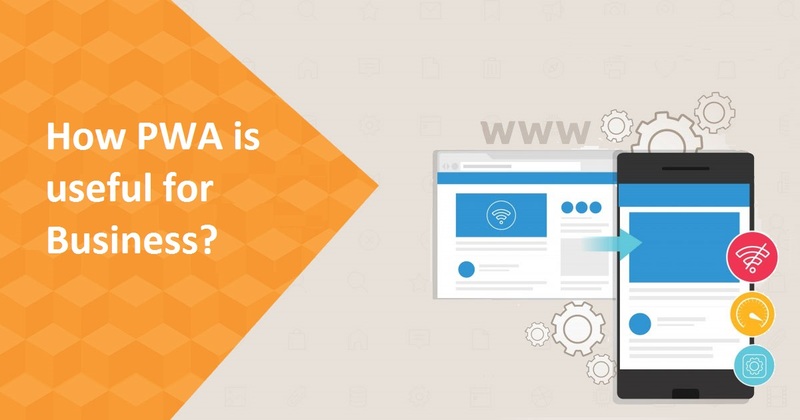 Most people in the e- commerce industry have heard the acronym PWA before, which means that not everyone knows exactly what this means and how their business can benefit. That's why we help here. You can read all about PWA in Magento 2 below and how your company can benefit from it. PWA stands for Progressive Web Apps. These are considered a combination of web pages and native apps, where you can find features that are evident in modern browsers and offer your potential customers the full benefits of mobile devices. PWA is based on websites, but eCommerce business owners can choose to convert PWA into applications if they want to. When a potential customer visits a website, he or she will be asked if they want to add it to their homepage. If so, the website is added to your home screen and can from that moment on be used as a mobile app. This year, Magento 2.3 and 2.4 is releasing new features to help eCommerce business owners create PWAs. These features will make PWA more efficient; thereby, making Magento 2 more advanced than alternative platforms. PWA now has advanced reports. This gives business owners more insight into their PWA. This means that you can see the statistics on your website, including how many visitors you have, how long visitors stay on your website, etc. We see some of the same benefits in the latest version of Magento. It should be noted, however, that there is an advanced API layer in the PWA Studio, in which the answers are smoother than in previous version. Magento intends to add a brand new API style to make PWAs smoother than before and to enable eCommerce business owners to fully control the customization of their site. Magento is also a flexible and scalable solution. However, it is important to choose a trusted Magento development agency before you decide to implement any functionality in your store. You can then plan what features you can add to your existing store or customize if necessary. Let's move on to the benefits of PWA. Business: PWAs are designed to bring your business more people, increase conversions and generate more leads. That said, how is this done and how can you benefit from PWA technology on your eCommerce site? This is usually accomplished by a variety of progressive web apps. App Experience: If you use PWA for your eCommerce site, you can take full advantage of the features used in applications without a single layout or format being restricted. Those who visit your site will be able to take advantage of both a website and a mobile version of your site because PWA makes it easier for your site to adapt to different devices and allows your customers to experience mobile applications whenever they want. High Performance: PWAs are well known for their high efficiency and instant page loads. When a client has to wait for a loading page, they are less likely to return to the site. If you use progressive web applications, everything is automatically uploaded. This gives your prospective customers immediate access to your site and increases their likelihood of returning. Usability: One of the important advantages of using PWA is that it is easy to use. Business owners of eCommerce can take all the advantages of a PWA POS system to their stores. Staff can take advantage of the PWA's add-on screen feature and offline mode. With the Apple or Android tablet, sales assistants can sell products instantly while customers decide to buy something from the shelves. The loading time for the PWA app is also fast, as previously mentioned. This means that your store's available features are the same in the PWA app. Customer Loyalty: Increase customer loyalty by using PWAs. This is done in a variety of ways; customers can use your site offline, for example. This is accomplished by using pre- cached data to allow your site to run so that your customers can shop online. This increases customer loyalty by ensuring that your website is always accessible to your customers. If you have to wait for you to return online while the site is updated, you are not likely to return to your store. However, if you have immediate access to your products, you are more likely to return. Conversions: You are more likely to have conversions when using PWA than when using alternatives. A responsive design and native apps can be considered as alternatives. Responsive design optimizes your page, but does not improve conversions. PWA increases conversions by giving customers an app-like experience without forcing them to install a legitimate app. You can choose to place the website on your homepage to have a complete mobile experience. Cost-Effective: As an e- commerce company owner, you'll surely save money. It will be more expensive to develop a native app than selecting a PWA application. PWA is a popular term nowadays because of its benefits towards business. 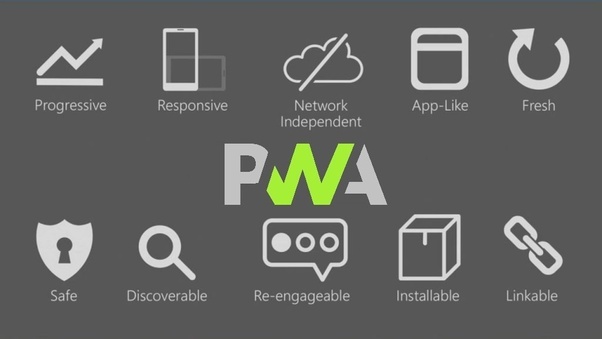 PWA stands for Progressive Web Apps. PWAs are combination of web pages and native apps, where you can find features that are evident in modern browsers and offer your potential customers the full benefits of mobile devices. This blog must have cleared all the points about PWA and benefits of using it for business. So if you are looking for PWA services or magento ecommerce development services, then don’t hesitate to contact us. We have team of expert Magento developers.